Since the beginning, I’ve been using this blog to improve my communication skills. 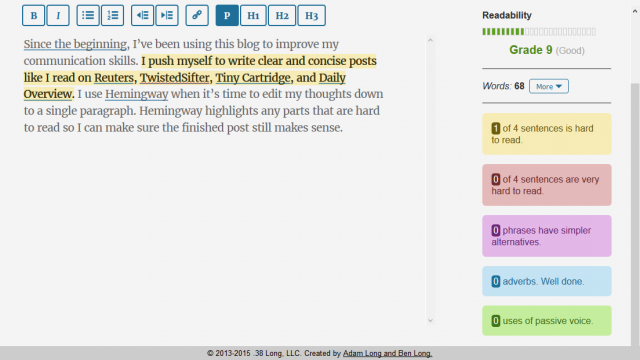 I push myself to write clear and concise posts like I read on Reuters, TwistedSifter, Tiny Cartridge, and Daily Overview. I use Hemingway when it’s time to edit my thoughts down to a single paragraph. Hemingway highlights any parts that are hard to read so I can make sure the finished post still makes sense.